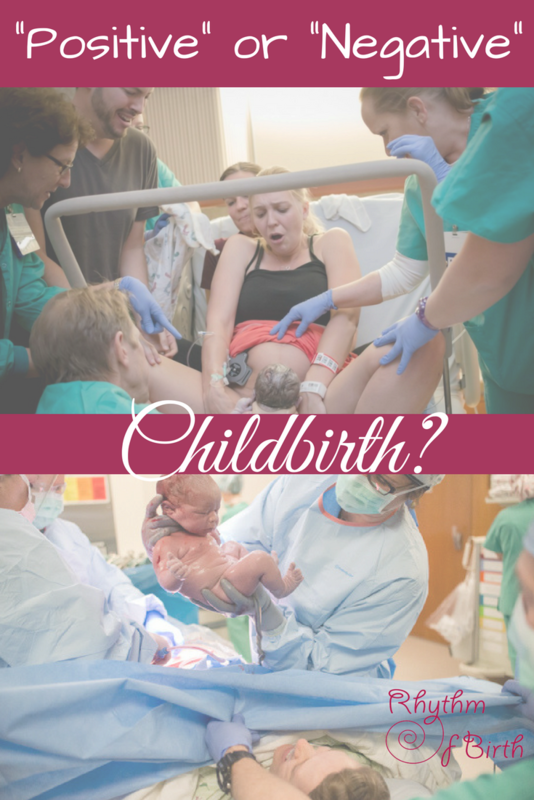 A "Positive" or "Negative" Childbirth? A "Positive" or "Negative" Birth? What do you think/ feel when you look at these images? Looking at these images while pregnant, you may be preparing to birth like the woman on the left, and hoping to avoid birthing like the woman on the right. It is important and normal to prepare in every way possible for your birth. You may be gathering information, and practicing to cope with pain hoping to have a low intervention birth. Or, maybe you are planning to have a cesarean birth (like the woman on the right, I was her doula). There is no “wrong” way or “right” way to birth. Your experience, however you plan to birth, is very valid and valuable. How you process your birth and your expectations, however it unfolds, can affect your emotions and experience postpartum. Our culture differentiates “positive” vs. “negative” birth experiences by outcome; birthing vaginally or via cesarean, un-medicated or medicated. 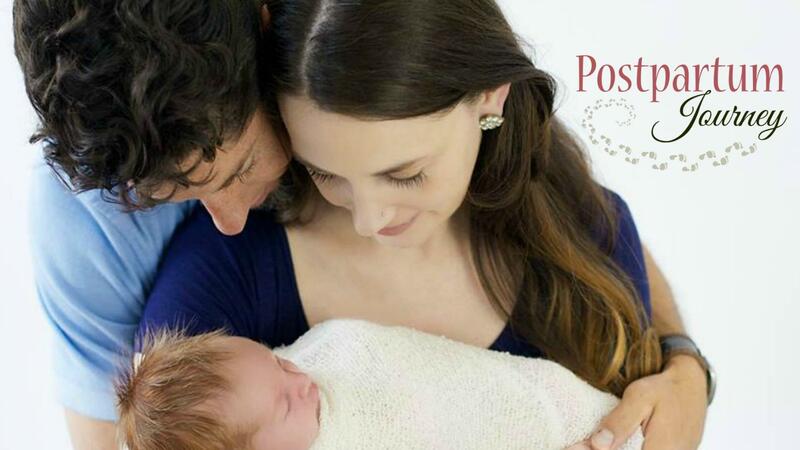 As I support couples during birth as a doula and mentor through my childbirth courses, it is my desire to communicate “positive” vs. “negative” very differently. How a woman processes her birth, even when it is different than her ideal plan, is what I would define as “positive” or “negative”. If your birth was not "ideal", it is OK to grieve, and even mourn, the loss of the birth you had hoped for. During a woman's birth, it is important she feel validated and heard as she processes and makes decisions, especially when unexpected surprises happen and the “birth plan” shifts. In my childbirth courses, I teach the “wise and compassionate uses of interventions”. I don't call my courses “natural birth” courses, because I feel very strongly that there are times when interventions/ pain medication are the next best thing and compassionate and wise to embrace. There are times I have encouraged my clients to have a cesarean birth. I remember one particular mama (and her partner) who felt very relieved and thankful that I had given her permission within herself to change her ideal plan and go to the OR. As a doula and birth educator, it is my desire that mama's embrace interventions/ pain medication if they become necessary, or they just choose them, without judging themselves or feeling judged by me, her partner, or the medical staff. If you chose pain medication or an intervention during your birth, you are not judged! there is no judgment . . .
by myself . . .
My deepest desire is to help a mama process her birth in a mindful and healthy way, especially if it is different than her ideal birth plan. When a woman allows herself to dig deep within her soul, to process her birth, however it unfolded, embrace it, make a Hero's Return, or “give back” to her community or even to another mama, that reveals a positive experience. In my courses, I share a story about a “Hero's Journey”, an internal soul process of an experience or birth, to help mamas prepare emotionally and mentally to embrace birth and unexpected events that may occur or changes in the birth plan. I also teach about the “pain” vs. “suffering” mindset, and help women recognize and embrace when the intensity of birth goes beyond “normal” labor pain and creeps into suffering. . . . helping mamas recognize the time to embrace pain medication, without judgment. Our culture also makes reference to a “strong” or “tough” woman who can birth naturally. I strongly disagree with that statement. It takes much courage and strength to let go of your ideal plan, and embrace interventions when they are wise and compassionate. I hope you have heard my heart in this. I would love to know your thoughts or questions regarding your birth preparation or experience. I would love to know how you felt when you first saw the images above. Comment below. If you have already birthed, and are struggling to process your experience, please reach out to me or someone for help. Please don't stuff or bury your feelings, they are very valid and important to process.